Fortnite Content Update v7.20 has just been released with changes mostly to the weapons and items. 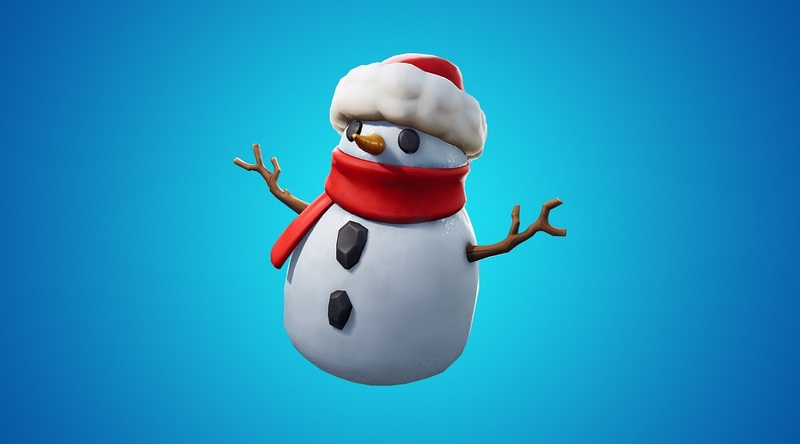 The addition of the Sneaky Snowman lets players either throw a destructible snowman or wear the snowman. The cool thing is the snowman acts as a shield that provides 100 health. However, it is destroyed once switching to another item or building mode. The snowman also comes in stacks of five with a max of ten so players can reuse them or set them as decoys. As for the other weapons and items, the Quad Rocket Launcher, Grappler, and Port-A-Fortress have all been vaulted. As well as a reduction in drop rate for regular Shield Potions, Balloons, and Gliders. Check out Epic Game’s website for more details here.